ACES – American Cultural Exchange Service is a non-governmental, non-profit organization dedicated to international cultural, educational, and sports exchanges. Our mission is to provide high quality international educational, cultural and sports exchange programs to people in the US and around the world. Address: 1 Lake Bellevue Drive, Suite 200 Bellevue, WA 98005 U.S.A.
ACES - American Cultural Exchange Service was founded in 1995 in Little Rock, Arkansas, with the support of a group of professionals including lawyers, accountants, university professors, business and community leaders who believe in the value of international exchange in the pursuit of world peace. ACES is a non-governmental, non-religious, non-profit organization dedicated to international cultural, educational, and sports exchanges. With the national office located in Bellevue, a suburb of Seattle, ACES maintains a network of dedicated and well-trained Local Coordinators in communities throughout the United States who provide program services at the local level to participants, host families, schools, and organizations. At ACES, we are committed to providing the best possible exchange experience to all. Since its founding, ACES has developed partnerships in more than 46 countries around the world including China, and with more than 350 middle schools and high schools as well as 6 colleges and universities in the United States. ACES has served nearly 4000 program participants, including middle school to high school students, teachers, athletes, coaches and performing artists. 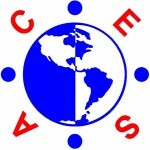 ACES was one of the first American organizations that worked with China in the field of education and cultural exchanges at the middle and high school level. ACES is interested in expanding programs in China and welcomes well-established and respected individuals, schools and organizations in China to cooperate in offering outstanding exchange programs for people in the US and China. Currently, ACES receives Chinese students and teachers to participate in various programs in the US and sends American high students to China to learn Chinese language and culture every summer.